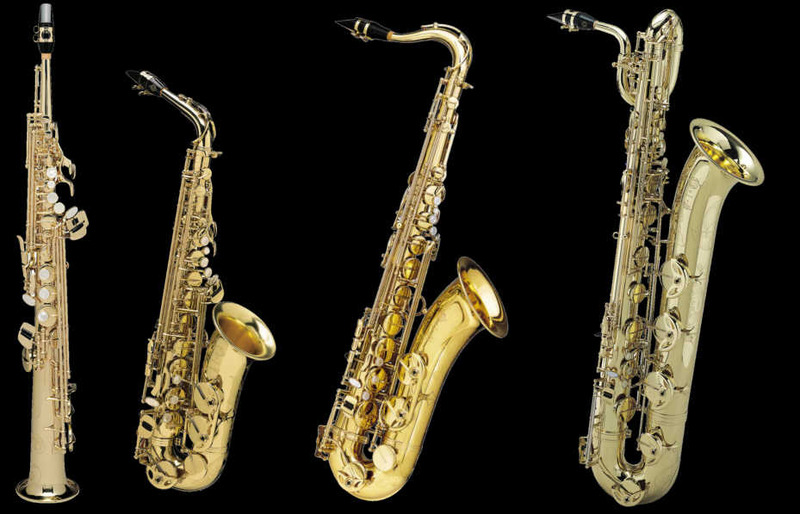 Selmer Saxophone, Tenor, Alto, Soprano, Baritone Saxophones online. The B-flat soprano saxophone SELMER "Super Action Series II" represents a significant advance in the overall design of the soprano and asserts itself as a particulary interesting model in terms of sound colour. A beautifully toned instrument, rich in high harmonics, it has excellent projection power. Its design (one-piece tube) ensures great playing stability, particularly as regards pitch an blowing. Tone richness and easy blowing are the basic features of the SELMER "Series III" soprano. Easy to use for the non specialists of the soprano players, it offers a playing technique quite similar to the alto and tenor saxophones. A great sound richness with high tones without aggressiveness, a free blowing, particularly in high register, while keeping a balanced control, a wider range (high G), and homogeneous tuning over the whole range, an overall playing flexibility. The most popular of the alto professionals and sold all over the world. A powerful sonority, a widened dynamic, a model whichwill suit to many using types. Acoustics, ergonomic features and aesthetics recall the spirit of this famous model - rich, round tone colour, very centered blowing and exceptional tuning balance, compact and precise keywork, comfortable handling, a specific finish with a fine engraving and dark lacquer. The Reference alto stands out with its great ease playing, flexibility and power which give free rein to expressiveness. SELMER Paris applies the Reference concept to the alto saxophone. A strong personality for an instrument of up-to-date design and making, in which each musician will find the MARK VI feeling. A tenor saxophone of professional level which allows to go on scene as well as playing the traditional repertoire, an opened sound, very rich in harmonies and which has an excellent projection power. The new SELMER "SERIE III" tenor saxophone now joins the legend - it integrates many quality features of famous previous models and projects into the present musical world with a sound, a dynamic range which really make it the instrument of the greatest players. Acousticwise - the player is not bound to a specific sound and has the possibility to explore many colours according to his own conception and equipment. A wide dynamic range provides a real pleasant playability, which a generous low register and easy subtones. An excellent overall response and perfect tuning create a close relationship between the player and the instrument. Reference is a new SELMER Paris concept, which allows for combining acoustic or ergonomic features of several previos SELMER Paris models with the qualities of a today's design and making. The Reference series currently proposes two tenor saxophone versions: Reference 36 and Reference 54. Each model has a specific tone colour. The Reference 36 features a rich, open tone, in the tradition of the Balanced Action manufacrured beginning in 1936. The more centerred Reference 54 incorporates the famous MARK VI design, which came out in 1954. The reference among the baritone saxophones, it is a generous and accurate instrument which will allow you to play in a quartet work as well as to support a Big Band section. Its sound power and its dynamic range are exceptional. Thanks to its widened range ( going down to low A ) it will find its place in the most present repertoires.